The idea for a portal with 3D content and the name "3D-Sphere " came at the end of 2009. The main idea was to create a portal with 3D tutorials and content which would inform the users about the news in the 3D world, give them an opportunity to learn from our tutorials and give them a place where they can search for help and discuss about 3D and 2D graphic software such as 3ds max and Photoshop. Over the time the concept was changed many times to create a lightweight site which a lot of information and tutorials to make it easy. 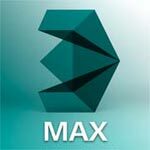 Customize, collaborate, and create 3D content quickly with 3ds Max® 3D modeling, animation, and rendering software. It's packed with brand-new, user-requested features and enhancements for entertainment and design professionals. Desktop Subscription gives you access to the latest updates and releases, 1-on-1 web support, priority support in the forums, flexible licensing, and more. Incredible images, faster. Photoshop CC brings new efficiency to creative workflows of all types, so you can produce more inspiring work in less time and with fewer steps than ever before. 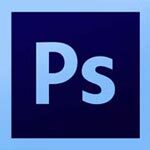 Create astonishing art thanks to the cutting-edge science behind Photoshop CC. New technologies let you easily manipulate images in ways that were once painstakingly difficult, if not flat-out impossible. Get some preliminary information about the status about a new tutorial . Recording, recording, recording ... . To record an interesting tutorial you need a lot of time. Our motto: Make it good, make it nice and take your time. Just to record its not enough. You have to process the files and prepare everything for publishing. Its has to be noted that without any explanation there is no tutorial. Attractive article will attract new audience. To upgrade, it means to change and to customize..
Upgrade of the Joomla core 3.x is just one step to be up to date. There is lots of work behind it. By means of template change, new possibilities of typography are available. This all has to be changed to be able to get advantage of it. New core, different structure and stock component. It just cant work all together at the first time. Quite a lot of changes in the code has to be done to have it working. 3D-Sphere 3.0 features Eximium, a free Joomla Template with an award winning Joomla Template Framework YJSG. Extremely-responsive layout that renders 3D-Sphere 3.0 beautifully on computers, tablets and smartphones. Advantage of included Twitter Bootstrap that helps to develop our websites easier and faster . Media, icnos, tabs, accordions, notifications or image effects are built in via shortcodes to quickly take adavantage of them.